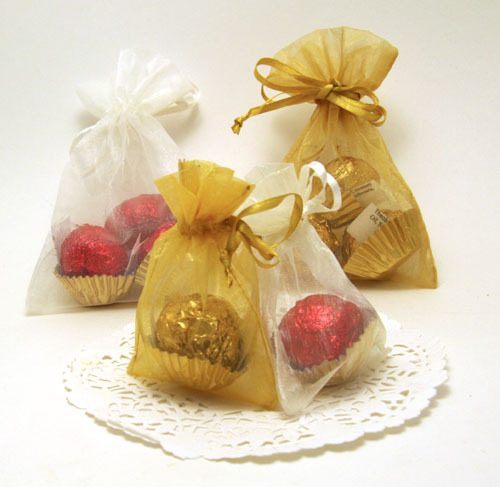 The same decadent truffles as on our Bath and Body page but packaged beautfully in delicate organza bags for Christmas. Cocoa butter, coconut oil, almond oil, zea mays, sodium bicarbonate and pure essential oils melt into your bath for a decadent, moisturizing experience. No need to moisturize after using these. "Christmas Spice for everyone nice!" Pretty swirled soap in Christmas colours warmly scented with orange, cinnamon, cloves, nutmeg and vanilla essential oils and packaged in a pretty see through organza bag with ivory ribbons. Made with oils of olive, coconut, palm and palm kernel, and coloured naturally with oxides. 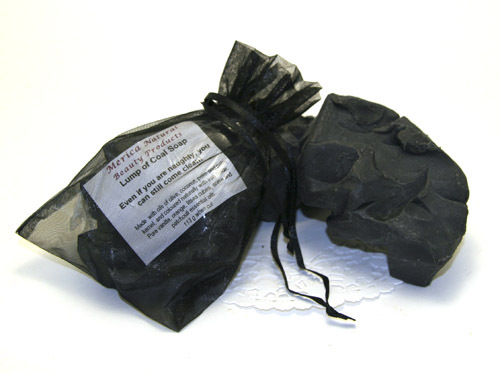 "Even if you are naughty, you can still come clean"
Shaped into a lump of coal and packaged in a pretty see through organza bag with black ribbons. Made with oils of olive, coconut, palm and palm kernel, and coloured naturally with iron oxide. This delightful Christmas soap is scented with pure vanilla, orange, litsea cubea, anise and patchouli essential oils.